In recent times, more and more companies belonging to a variety of different backgrounds, industries, and niches, are adopting biometrics as a means to optimizing their customer service and allow individuals to tap into the amazingly convenient and trustworthy world of biological identification mechanisms. However, it is not as simple as simply putting up a fingerprint scanner upfront. There are a number of factors that must be taken into account in order to ensure that your service is achieving the goals you have set for it and is actually proving to be beneficial for you and your mission in the long run. At the end of the day, the goal of any employer or organization employing the use of biometric technology in their operating sphere is to build a culture an environment based on trust, accountability, and security. 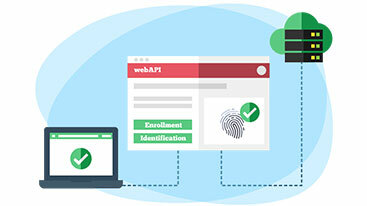 For that purpose, it is important to ensure that all of the below mentioned key elements are being fulfilled and ensured every step of the way as they are salient in building not only a reliable biometrics system but also a well-rounded user experience. 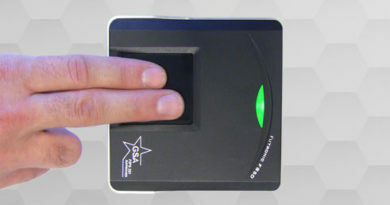 One of the most important aspects of any successful biometrics systems is accuracy. You want your service to be as correct as possible and leave the chance of error next to zero, reducing it down to a minimum so as to prevent the occurrence of any mishaps or mistakes. You want to ensure that you employ the use of the correct modality keeping in view the needs and wants of the customers or employees you are serving. The key here is to select a modality that is most convenient for the users who will actually be interacting with the service on a daily basis. In terms of modalities associated with biometrics, there are a number of options you could choose from, including fingerprint, finger vein, iris, facial patterns, etc. In the modern world, where everything happens at a breakneck pace and with amazing accuracy and efficiency, you want to make sure that you make the identification process as simple, quick and efficient as possible for the users. The speed of the checking in and checking out process is a key aspect of any customer service delivery chain as it plays a direct and significant role in dictating just how satisfied and happy they are with your service. The security and safety aspect of biometrics technology is one of the most important ones considering the sensitivity and degree of personal information you are extracting from the users. As such, you want to make sure that you provide the optimum level of security to this sensitive info and do everything on the technical aspect. Fortunately, most of the third party biometrics you can avail offer great security and protection services to go along with the biometrics so that you can rest peacefully and assured that the information of your customer and employees is not going anywhere it should not go. Keeping your customers’ information safe and secure goes a long way into forming a lasting impression and creating a relationship of trust with them. While it is necessary that you ensure the customer has the best possible experience with your service delivery, you also want to make sure that you do not run yourself bankrupt as you arrange for these services. Being able to ensure these factors while keeping the service affordable for yourself and the organization is just as important. That is why you need to invest in a solution that is relatively inexpensive and is yet equipped with all you need to keep your customers happy.